THE B-MOVIE NEWS VAULT: STOCK YOUR VAULT: New DVDs & Blu-rays for 01/15/2019! STOCK YOUR VAULT: New DVDs & Blu-rays for 01/15/2019! Greetings Vault Dwellers, and welcome to another edition of our STOCK YOUR VAULT column! This week offers up a good mix of titles, and is one of those rare times where new Blu-ray releases outnumber DVDs! Kino Classics adds to their Mario Bava Collection this week with the releases of KNIVES OF THE AVENGER and FOUR TIMES THAT NIGHT, Severin Films gives JACK THE RIPPER new life on Blu-ray, and Arrow Video delivers a 2-disc Limited Edition of Guillermo del Toro's CRIMSON PEAK and brings THE FORBIDDEN PHOTOS OF A LADY ABOVE SUSPICION to Blu! Mill Creek Entertainment shows some muscle this week with six new releases, all housed within cool retro VHS-style packaging, including: HAPPY BIRTHDAY TO ME, HARDBODIES, KRULL, LAST ACTION HERO, SILENT RAGE, and WHO'S HARRY CRUMB? 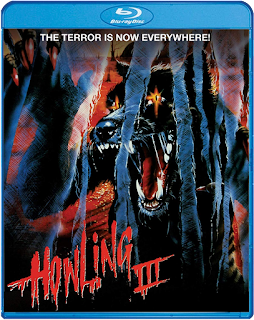 Scream Factory and Shout Select have a very strong presence this week as well, and we get no less than six new titles from them: HOWLING III, THE PLAGUE OF THE ZOMBIES, SATURDAY THE 14TH, OBSESSION (COLLECTOR'S EDITON), THE PLAGUE DOGS, and THE GLASS KEY! And for all you Region Free folks, 88 Films has you covered with INFRA-MAN, IRONMASTER, and KILLER CONSTABLE! There's plenty of other new releases out this week on DVD & Blu-ray, so be sure to scroll down to see them all! NEWS VAULT SPOTLIGHT ON: SARAH BURKE!